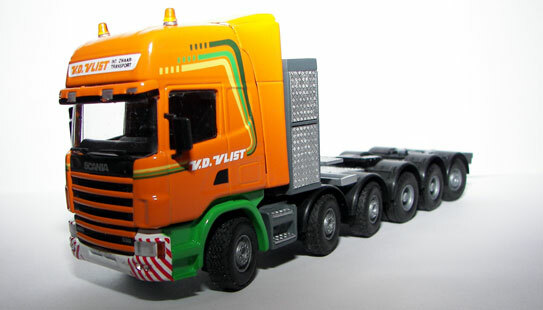 Zon Model builds this Scania 144G in Van der Vlist livery. As usual with Zon models, the cab comes from Lion Toys. The tractor is build upon the Zon universal chassis. 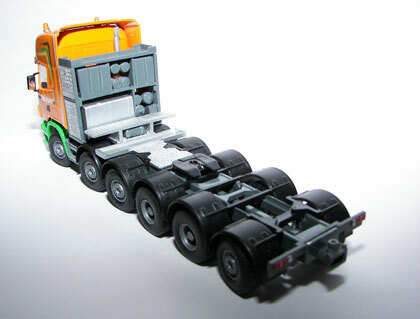 The Lion cab is not as detailed as the Tekno version. Most notable are the printed doorhandles. Nevertheless because of its size, this truck is an impressive sight on the shelve. The first three axles are steering, the last axle is steering in the opposite direction. The enormous length of the tractor makes it impossible to fit most sold trailer models. The coupling in the picture doesn't come with the model. 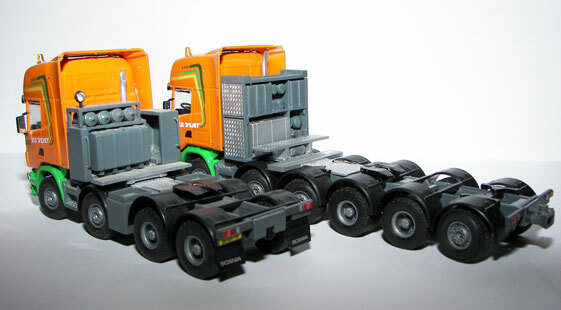 At the left in the picture is the 4axle Scania tractor, also by Zon. Both models use the same cab, but further the models are totally different. Both trucks use a different tower behind the cab. 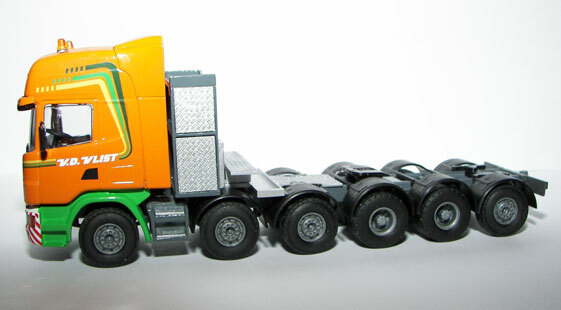 The license plate and mudguards on the 4 axle truck are added by me.